Concerned that you or a loved one may be displaying signs of Alzheimer’s disease? Early diagnosis promises the best chances of treatment and proper care. Learn what the early signs of Alzheimer's are. Alzheimer’s and dementia may often be used interchangeably, but they are actually not the same thing. Alzheimer’s disease is a subset of dementia; a cause of the illness rather than the illness itself. As a result, there are some signs of Alzheimer’s that may appear separate to other types of dementia, requiring different types of dementia care and treatment. Being aware of the early signs of Alzheimer's is very important, especially if you or a loved one are more susceptible to the condition through factors like genetics and gender — women are more likely to receive a diagnosis than men. By looking out for the primary symptoms of early Alzheimer's, you can be sure to get the right kind of care and treatment established early. This is invaluable. The right treatment in the early days can drastically affect your outlook — not just in terms of health, but also quality of life. What Are the Signs of Alzheimer's? Before we look at the signs of Alzheimer’s, it’s important not to get too worked up if you find you or somebody you love is displaying these symptoms. While they are all signs, they are also signs of other conditions and even just a tired or stressed mind. We all know the links between Alzheimer’s and memory loss. It’s the symptom most associated with the condition. However, not all memory loss means you are suffering from Alzheimer’s and not all Alzheimer’s sufferers will be struck immediately with memory problems. However, it is a definite symptom and should be taken seriously, especially if it is progressive. Alzheimer's affects the brain by damaging neurological pathways that enable us to think and make sense of our world. What this means is that in the early days of the illness, those living with Alzheimer's may find that mental tasks they could easily have completed before — such as problem-solving, managing money, following instructions or playing sports — becomes difficult. Struggling to do the simple things that came so easily before is an early sign of Alzheimer’s. 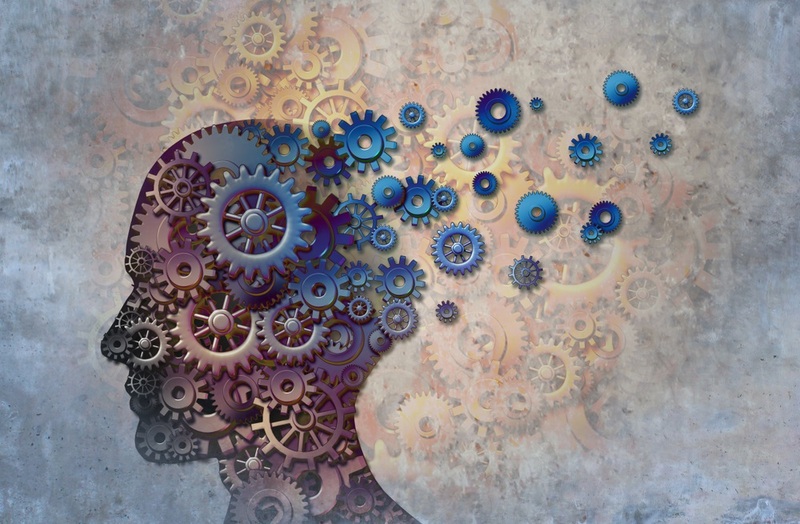 In the early stages of Alzheimer's, most cognitive abilities may be largely unaffected. That means it can be tough to tell if problems are related to the onset of a specific condition or just a symptom of the brain slowing down in older age. One sign that things are not as they should be, though, is an inability to find the right words during a conversation — such as being unable to name a colour, place or descriptive word. Now, we’ve all experienced this from time to time — it doesn’t matter if you are 18 or 80 — but regular occurrences may mean Alzheimer's is affecting the brain’s ability to access certain information. People often forget about what really causes Alzheimer's. It’s an illness that affects all types of pathways in the brain, which means it isn’t just our ability to think that can change — it can also impact the way we feel. Mood and personality shifts are not uncommon in those living with Alzheimer's. This is actually a very strong signal when combined with other symptoms on this list. As with mood changes, the breakdown of neurological pathways can also affect the way we move and see. This is a rare early sign of Alzheimer’s but a sign nonetheless. Those experiencing difficulty moving or major changes in vision should be aware that they can hint at Alzheimer's, and that their presence warrants further investigation. As cognitive abilities become affected, those living with early signs of Alzheimer’s may start to distance themselves from other people. This could be out of personality changes, concerns over their health or anxieties about the realisation they may be developing a form of dementia. Social activity is incredibly important for good quality of life and can even help to reduce symptoms. At Abney & Baker, we run social programs and schemes to help those living with Alzheimer's remain socially active. What Can You Do When the Early Signs of Alzheimer’s Appear? Proactivity is key to a stable and happy life following the diagnosis of Alzheimer's. The early days can be scary and confusing, but with the right support and treatment, Alzheimer’s can be very manageable. The first step is to discuss symptoms with your doctor — they can ensure that appropriate measures are taken to minimise the impact of Alzheimer's through medical care. However, this is not the only option you have. Part of successfully living with Alzheimer's is understanding the illness and working to manage and reduce the impact of its symptoms. Through this kind of action, many of those diagnosed with Alzheimer’s will find their quality of life is significantly improved. Support is available through experienced care specialists, such as our team here at Abney & Baker. We not only provide assistance in domestic living — when some aspects of life become too difficult — but also work with you when you are ready to face this daunting but beatable challenge . Are you, or is somebody you love, displaying early signs of Alzheimer's? You don’t have to face it alone. Our team at Abney & Baker are experts in home care and dementia management. Contact us today to discuss your concerns. All our communication is confidential and no-obligation. We’re here to make sure you get the help you need, even if we need to send you somewhere else to find it.